"My husband and I just got back from the most AMAZING and seamless Tuscan honeymoon planned entirely by Kathy at Italy Bespoke Travel. We canNOT praise her enough for organizing a fabulous trip and for the incredibly awesome registry they created for us online. Everyone loved sharing in the excitement of our amazing honeymoon by gifting parts of it to us. Thanks to Kathy and her connections in Italy, we were treated like celebrities everywhere we went on the trip. It was COMPLETELY stress-free and for the first time, I didn't feel like I needed a "vacation from my vacation" when the trip was over. 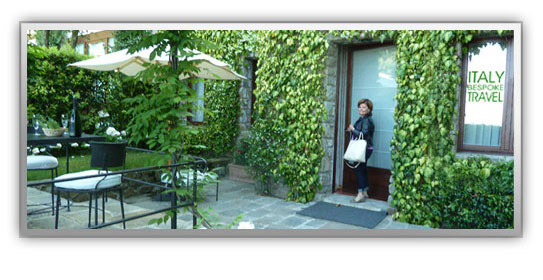 Thank you SO MUCH Kathy and Italy Bespoke Travel. You made our dream honeymoon a reality. If anyone wants a personal recommendation – feel free to message me and I will answer any questions you have." "We are back and can not thank you enough for all of your help!!!! Our trip was perfect and you helped make it perfect. We loved our tour and guide and seeing the David...we had great weather and truly it was a dream trip!!!!! Thank you, thank you!!!! !